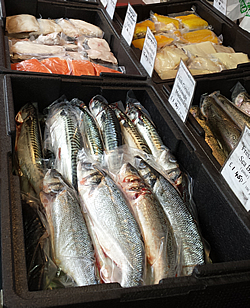 Fresh fish, smoked fish and shellfish. Sustainable line caught fish from our local coasts. This entry was posted in Fish, Keynsham. Bookmark the permalink. Both comments and trackbacks are currently closed.